Thirty-eight officers and dispatchers of the Boston University Police Department are suing BU, accusing the university for underpaying them for overtime hours, according to a complaint filed to the U.S. District Court for the District of Massachusetts. The lawsuit, filed in the federal court on Feb. 24, lists two accounts of complaints, including violation of the federal Fair Labor Standards Act and the Massachusetts Wage Act. The officers and dispatchers, some of whom no longer work at BU, claim in the complaint that between Feb. 24, 2014 and at least Dec. 4, 2016, they worked five shifts, or 42.5 hours, per week for 35 weeks per year. The university paid them for only 40 hours of hourly wage. While BU made two retroactive payments to the officers and dispatchers for overtime wage, and the university paid 40 hours of hourly wage when they worked four shifts per week, the 38 officers and dispatchers believe the compensation is not enough, according to the complaint. “Upon information and belief … the University divided the Plaintiffs weekly base wages by more hours than the base wages are intended to compensate, resulting in the University lowering the corresponding premium overtime rate,” the complaint stated. The university declined to comment on the lawsuit. 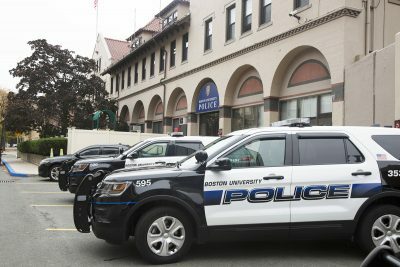 The lawsuit followed a two-year-long contract negotiation between the BU Police Patrolmen’s Association and the university since the original contract expired on June 30, 2015. 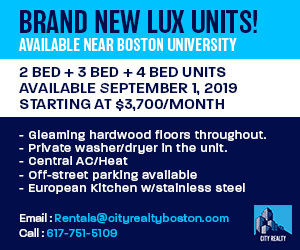 Officers from BUPD passed out flyers along Commonwealth Avenue last year, hoping to raise awareness in the community that they had been working without a contract for more than 10 months at that time, The Daily Free Press reported on April 28, 2016. Last semester, after a bomb scare at Mugar Memorial Library, some BUPD officers, including Scott Rocheville, an 18-year veteran officer and the president of BUPPA, claimed the administration has a lack of appreciation for the department because President Robert Brown thanked Boston Police, Fire and the EMS Department before thanking officers from BUPD, who responded first to the scene. While the lawsuit is ongoing, Jack Canzoneri, an attorney who represents the BUPD officers and dispatchers, said they wish to resolve the dispute directly with the university through productive conversations. At this point, Canzoneri said he does not have a specific figure for how much overtime wage each officer and dispatcher should be compensated. He expects to have more information in a month, after the university files an answer to the complaint by May 8.
outstanding reporting work by student journalist Weihua Li!